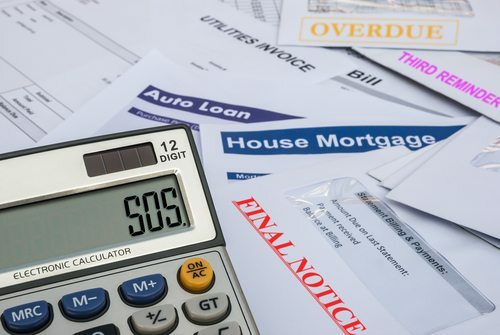 According to research conducted by the U.S. Trustees Program, it is estimated that more than 733,000 people and businesses will attempt to eliminate or reduce their debt by using bankruptcy. The peak number of filings in recent years occurred in 2010 when there were 1.5 million filings, although in 2017 the estimated numbers for bankruptcy were around 685,000. The federal reserve has also recently completed an evaluation that shows that many people may have significant household debt. Household debt is one of the most common reasons why people think about filing bankruptcy in the first place. The overall household debt in the United States was approximately $13 trillion by the end of 2017. That included more than $1.4 trillion in student loans, $1 trillion in credit card debt, $1.2 trillion in car loans and $8.8 trillion in mortgages. Although student loans are a common reason for people to contemplate bankruptcy in the first place, they are especially hard to discharge during the bankruptcy process. You must be able to show that paying your student loans would cause undue financial hardship and if you intend to pursue this route, you’ll need the help of an experienced bankruptcy lawyer who has helped many others in a similar situation. Many people who initially schedule a consultation with a bankruptcy attorney might wait some time to file. They may simply be getting their questions answered and figuring whether or not bankruptcy is the right choice for them. Bankruptcy is not the right choice for every person who is anticipating going through major financial challenges. However, it can be a significant step forward to get a fresh start on your financial future and get a better understanding of how you can move forward with your life after dealing with a complicated financial situation. The support of a knowledgeable bankruptcy attorney can help you to avoid mistakes in your case. Going to an initial meeting does not mean you’re obligated to file for bankruptcy; rather, this is your chance to get questions answered so you can chart a path forward as successfully as possible.